The Woman of the Year award recognizes a Missouri woman who has shown outstanding leadership and has served as a role model and inspiration for other women. Greater Missouri Leadership Foundation sponsors the Leadership Challenge, an annual traveling symposium designed to expose women leaders from diverse backgrounds to a wide array of issues. Each year, class participants are chosen from global corporations, small business, academia, government agencies and nonprofit organizations. The program’s goals are twofold: involve more women in finding solutions to problems facing Missouri, and build a statewide network of women leaders in order to leverage those solutions. 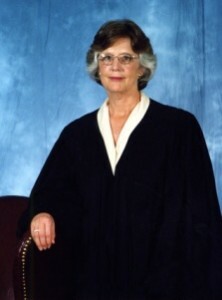 Ann K. Covington, formerly Chief Justice of the Supreme Court of Missouri, joined the law firm of Bryan Cave LLP in St. Louis, Missouri, on May 1, 2001, after having served on the Missouri Supreme Court for more than twelve years. Ann Covington obtained her Bachelor of Arts Degree at Duke University, Durham, North Carolina, in 1963. She earned a Juris Doctorate in May, 1977, from the University of Missouri School of Law. From 1977 to 1979, Covington served as an Assistant Attorney General of the State of Missouri. She then entered the private practice of law in Columbia, Missouri. In 1987, Covington was appointed to the Missouri Court of Appeals. In 1989, she was appointed to the Missouri Supreme Court. She has accomplished the post-graduate Appellate Judges Course at the Institute of Judicial Administration, New York University. While serving as Justice and Chief Justice of the Supreme Court of Missouri, Ann Covington was instrumental in instituting and seeing through to conclusion of a number of significant judicial administration programs. She chaired the Judicial Critical Issues Committee of Missouri, the long-range planning committee for Missouri Courts. She was active in advancing judicial education initiatives. With respect to statewide citizen education programs, Ann Covington and other judges of the Missouri Supreme Court spearheaded numerous programs throughout the Missouri Judiciary. She served as Chair of the Planning Committee for the National Town Hall Meeting on Improving Court and Community Collaboration, a national video conference sponsored by the State Justice Institute, the National Center for State Courts, and the American Judicature Society in 1994-1995. Ann Covington is a member of the American Law Institute, the American and Missouri Bar Associations, and the American Judicature Society. She has served on the Board of the National Center for State Courts, as a member of the Advisory Committee on Evidence Rules of the Judicial Conference of the United States, and well as Vice-President of the Conference of Chief Justices of the United States. She is a Life Fellow of the American Bar Foundation and a member of the Appellate Judges Conference of the Judicial Division of the American Bar Association. Ann Covington remains active in the Missouri Conference of the United Methodist Church. She is currently serving on the Board of the Family and Community Trust. She sits as a member of the Board of Directors of the Shelter Insurance Companies. She continues to be engaged in numerous activities that further the recognition of the importance of an entirely independent judiciary. Ann was married to the late Charles J. McClain. She has two children and two grandchildren. “Judge Covington is a perfect choice for our Woman of the Year Award. Ann is a truly distinguished leader as well as a trailblazer and role model for women throughout our state. She is bright, humble, and engaged in the issues, and we are proud to honor her as a Greater Missouri Woman,” said former Executive Director Shelley Simon.